Project Three.Six.Five. Taking one photo for every day of the year. The culmination of Luminaria (for more info see post 71/365) was the release of 300 multi-colored Chinese-styled biodegradable fire lanterns. 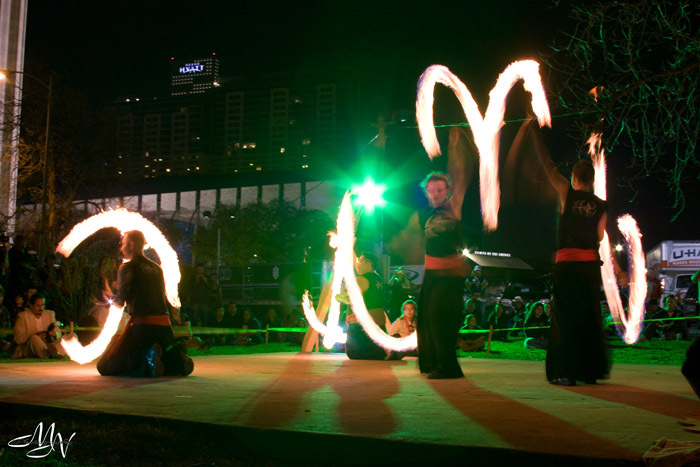 The wind blew them all on a path past the Tower of Americas. That light flare is from an incredibly bright street light that I couldn’t get away from, no matter which angle I took the picture from, but I kind of like it, because it frames the floating lanterns. 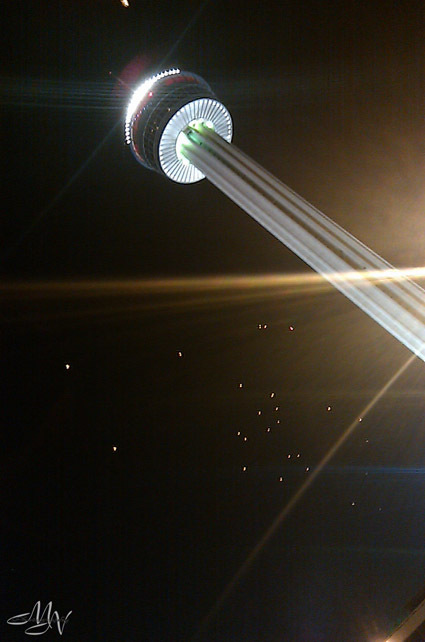 You can’t see the different colors of the lantern either, from the cell phone picture, but it was an awe-inspiring sight for sure! 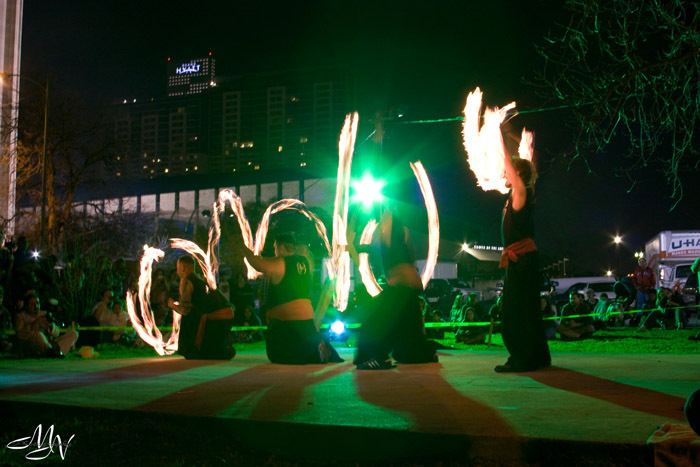 San Antonio’s 4th annual celebration of contemporary art and artists. 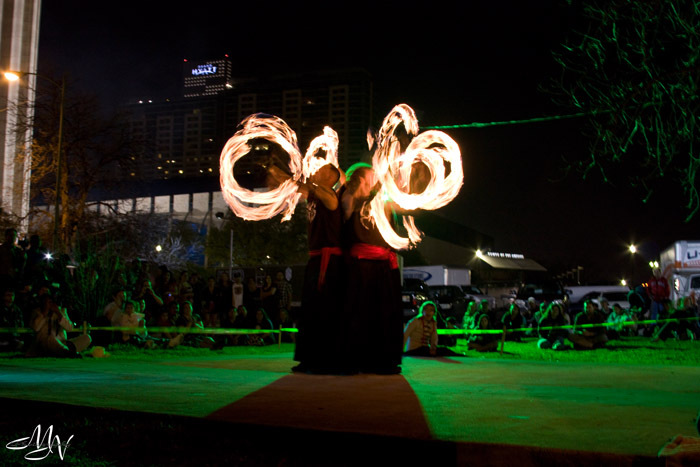 Hemisfair Park in it’s entirety was opened up to the 80-100 artists selected to perform/display. These performers, The Brothers of the Flame, were by far my favorite (but I also missed a few performances I’d wanted to see too). This was their “finale” and 4 of the Brothers came together to do their thing. Click to receive notifications of new posts.